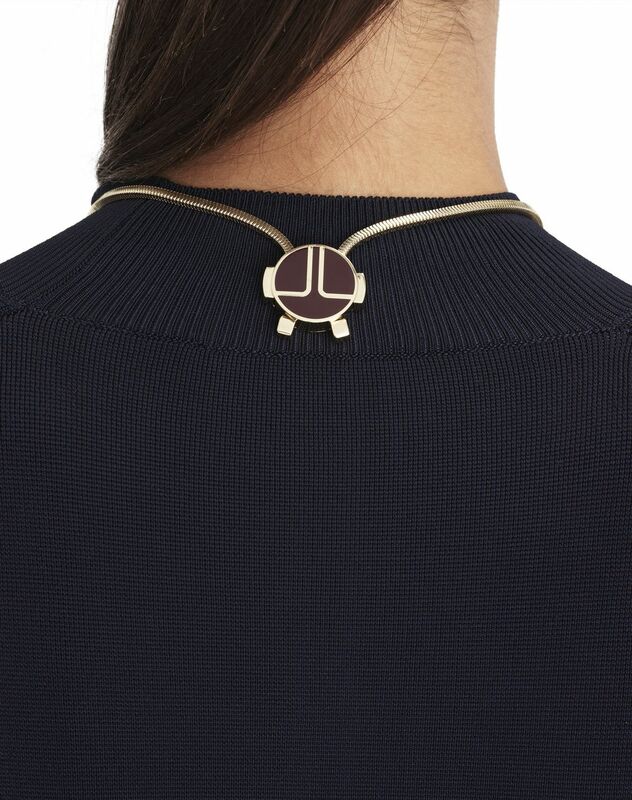 Short necklace in gold brass with two graphic garnet and ocher enameled discs, square snake chain, and exclusive round sliding clasp with “JL” logo to adjust the length. 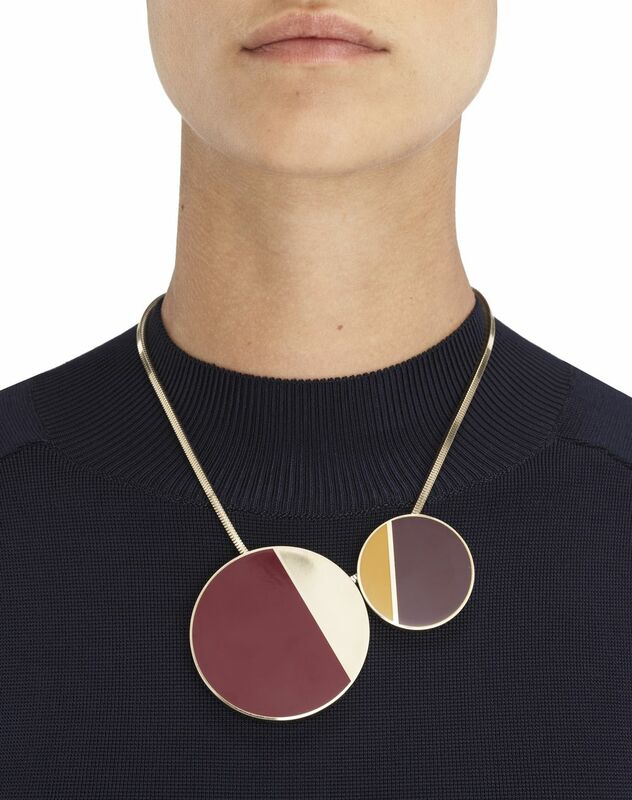 This short necklace in gold brass colorfully reinterprets the “Elliptique” line. 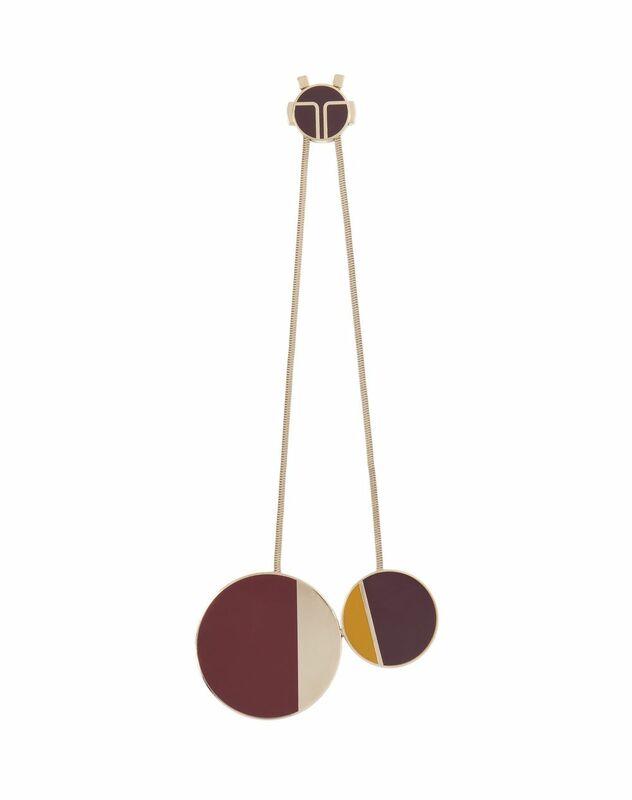 Inspired by 1960’s style, the smooth appearance of the discs provides a touch of elegance, while the graphic style of the two colors combined adds to the energy of this piece. 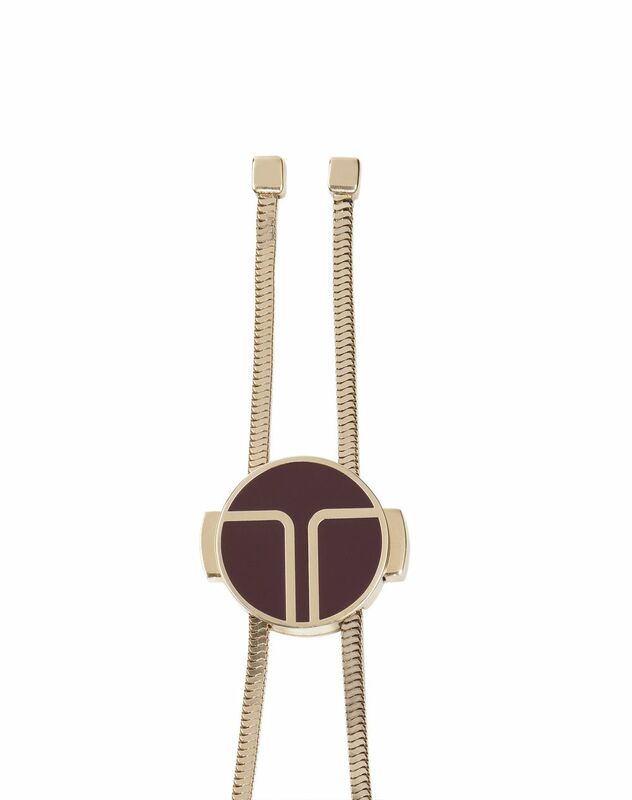 Main material: 100% brass. Secondary material: 100% resin. Length: X”, adjustable to a maximum of X”. Made in France.